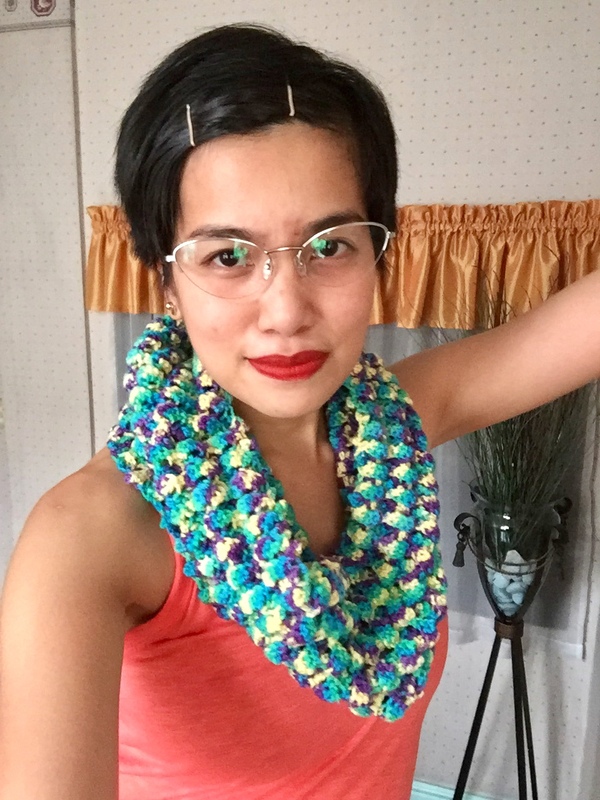 I finally finished the colorful cowl I was crocheting in shell stitch! It was fun to work with this variegated yarn I got from VC Trading. 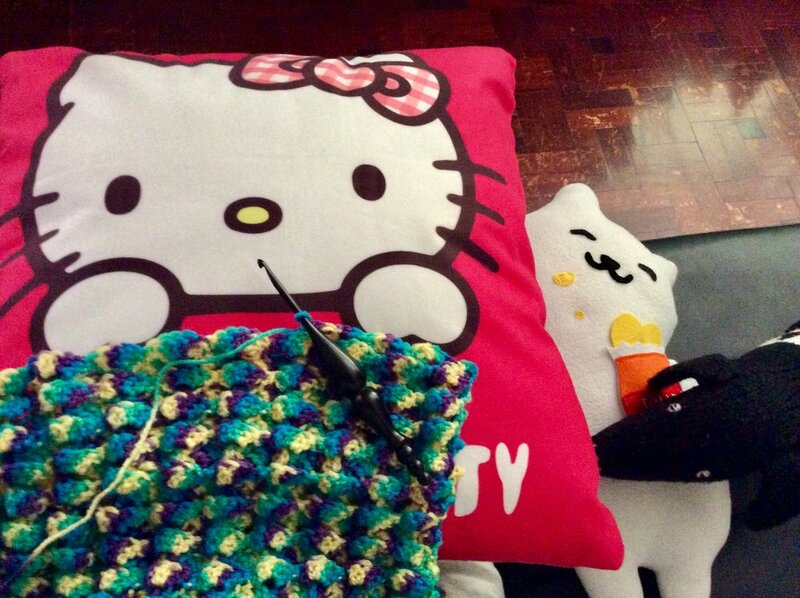 Of course, I couldn’t resist crocheting with my handmade plushies, Tubbs and Ella! I worked through this cowl during my birthday, as I was resigning from my previous job, and as I was transitioning back to freelance life. It was quite a journey. I look forward to giving this as a present to someone who’s celebrating her birthday soon. It is also noteworthy that I now crochet with ease as I have recenly had glasses made for my astigmatism. I hope that the condition will be corrected by next year. In the meantime, I will crochet, knit, and blog as I wear my stylish specs- and live a purposeful life!